It’s been quite some time since I have blogged. I am now a mom to THREE sweet gardening girls! This year I am volunteering at a public elementary school garden, and working at a private after school gardening club! This is my fourth year developing small gardens in classrooms, schools, and afterschool programs. I love the opportunities I have to teach our youth about gardening, but I have hit a plateau… and I need more knowledge to continue to keep these children learning about nature and our local gardens growing! Hide and Seek with their baby sister. Sooo… I applied for the University of Florida’s IFAS Extension Master Gardening Program, was accepted, and I start on Tuesday!! I plan to blog each week for the 8 week program and share my journey through this unique gardening adventure. I just got my training class agenda and I am so excited (and a little nervous)! Happy New Year 2018!!! I hope you are full of knowledge, new friendships, and more enthusiastic children that want to learn about nature! At the end of last year I was contacted to review this children’s book. Anything introducing nature to kids excites me, so I easily agreed. My little gardeners and I enjoyed looking at this interactive paperback. 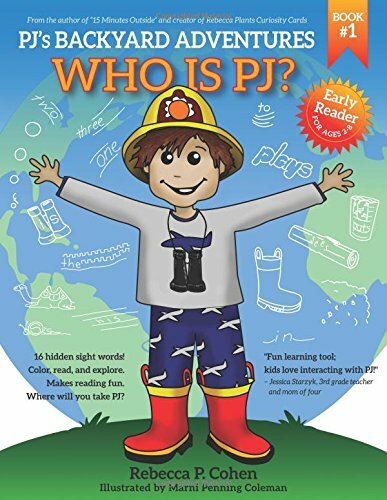 PJ’s Backyard Adventures: Who is PJ? Rebecca P. Cohen, the author of “15 Minutes Outside: 365 Ways to Get Out of the House and Connect with Your Kids,” says she has created a fun, adventure book for children ages 2-8 years of age. My little gardeners are now 5 and 8. It was too young for my 8 year old, but my 5 year old loved it. I think it would be perfect for preschool age children. Cohen introduces her new character PJ in what we would call a children’s workbook. 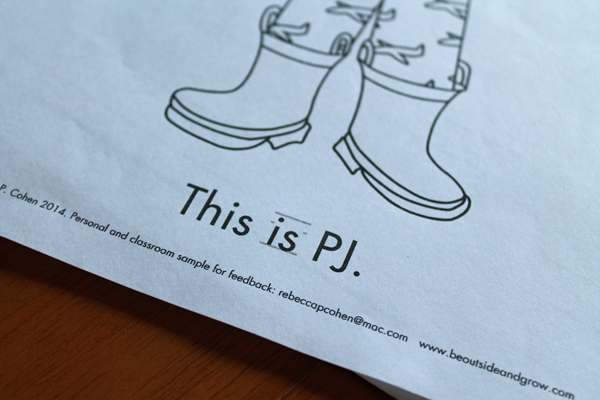 It offers coloring and writing pages, hidden sight words, and you can cut out your own PJ from the back cover! My little gardeners loved bringing PJ out to our garden. 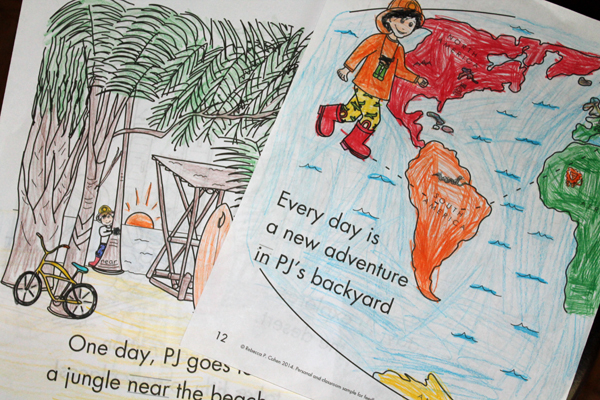 You can follow PJ online and see where other people are taking him as well! The girls enjoyed reading and coloring the pages. The words were the right level for comfortable Kindergarten reading. There is a very nice pdf preview of the book available on Amazon. While I thought the cost of the book a little high, I understand the cost of printing and then of course Amazon has to get their cut. I like that this book helps children put down a screen and pick up some crayons, and I love that this book gets them to take a paper boy off into the world to explore nature! January has been really warm again this year. Warm, and wet here in Central Florida! We are still getting mosquitoes and sunflowers in our backyard! When we do get a touch of cold, the winter veggies love it. 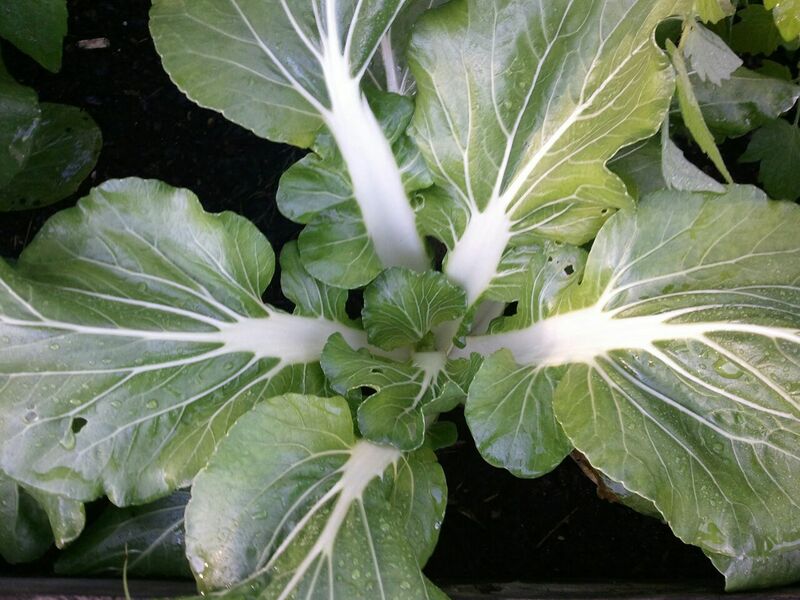 Our collards, bok choy, cauliflower, and broccoli have done well despite the warmer season. We have volunteer tomatoes growing up our sunflowers. I think they are going to be cherry tomatoes. Yum. 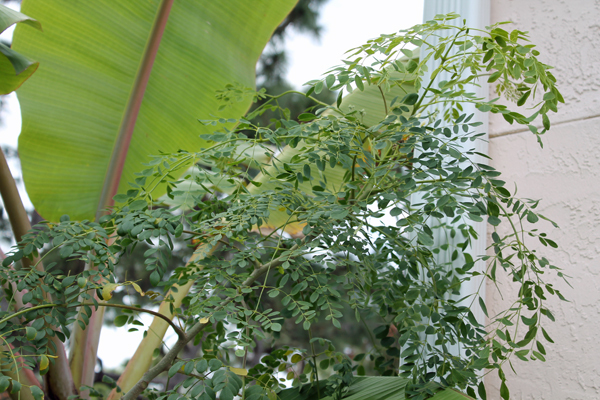 Our moringa tree is getting almost as tall as the banana trees. I am planning on re-potting it soon. 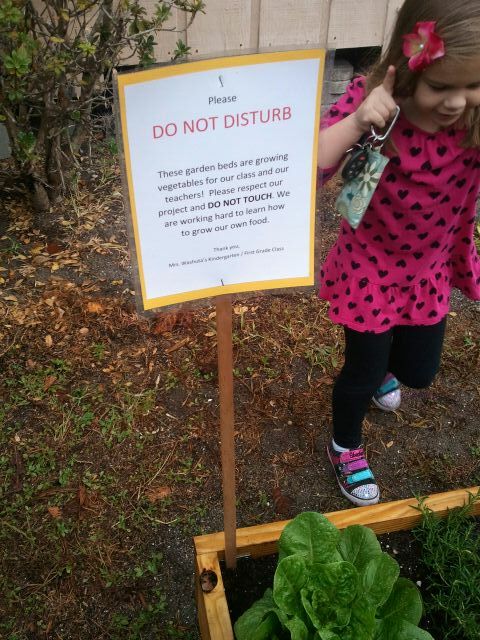 Our little gardeners have a renewed interest in our gardening efforts this month. Both girls have been awesome little worker bees! They are planting seeds, growing flowers, and helping us lay new edging and improving our soil for spring. One lone orange is left on our tree, but I am super excited that my lemon tree is in bloom for the first time! Winter is my favorite time to garden in Florida. Warm afternoons, cool nights, and delicious veggies, what is not to love?! We’ve had a dozen fires in our backyard fire pit this month. 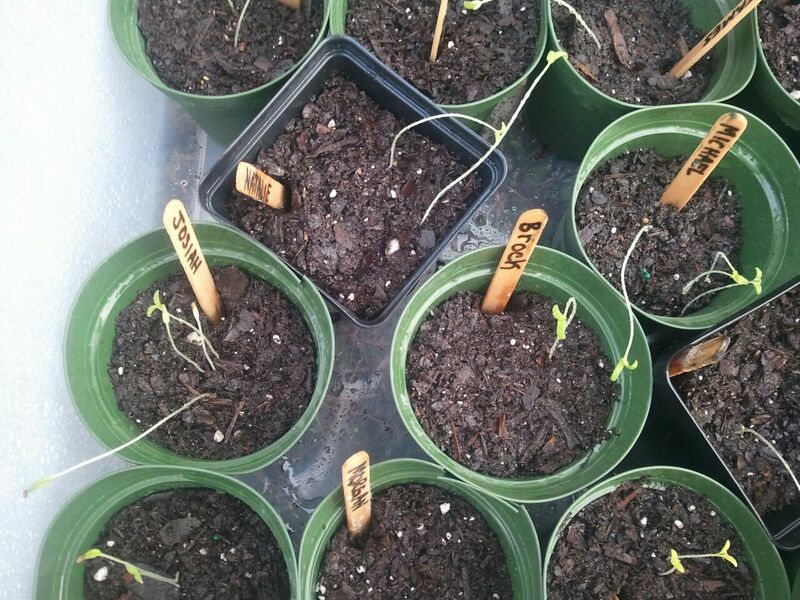 We also have been ordering seeds and preparing things for spring. 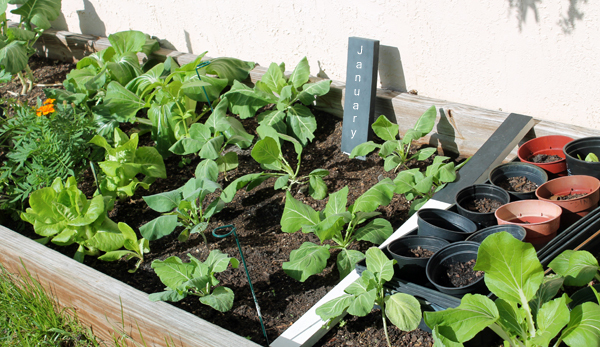 Yes, I am in love with January gardening in our sunshine state! The next blog post is a book review on an interactive children’s gardening book, and then I promise to update about the school garden. The children have been busy getting ready for spring! The students were so excited to harvest the first of their lettuce crop! I am happy to report every one of the students tried the lettuce (but not all liked it). They were really excited to have their principal come by to have a bowl of their lettuce with them! We thought our first attempt at gardening was a great success. I had eighteen 5-7 year olds excited about growing vegetables! They learned about different soils, measured rainwater, and even learned to remove snails eating in their garden beds. Now the debate begins about what to do with the remaining 12 heads of romaine lettuce growing in the garden. I hope the children will share it with other classes in their building! Everyone has been watching our little garden grow! I was blessed with the opportunity to head up a gardening project with a Kindergarten / First Grade class at a local elementary school this fall. I kept notes to share on the blog, to hopefully encourage other parents and volunteers to organize a garden project at their own school! It was so easy, and it has been amazing to share the garden with the students! This project has cost about $200, and is currently two months old. Mostly the cost has been the wood, hardware and dirt. I was able to get some project materials donated by businesses in our community. The parents of the children in the class donated a large portion of the gardening soil, and my husband and I purchased and made the garden boxes for the school. First we met with the school’s principal, to get approval and listen to his concerns about the project. We promised to weave the garden activities into their classroom curriculum and got the final approval for our year long project. 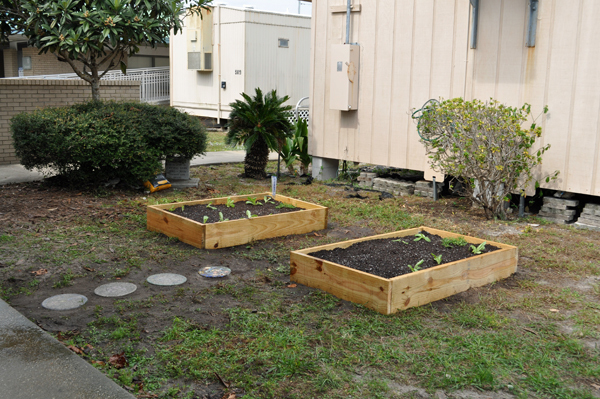 Next, we constructed two 5″ x 3″ wood garden boxes, and then filled them with peat moss and gardening soil. The kids enjoyed feeling the difference in the peat moss and the gardening soil. 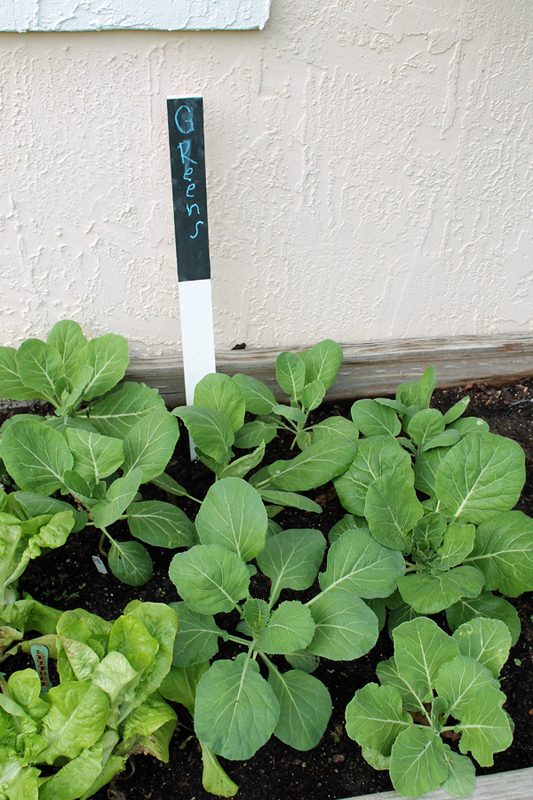 The kids are currently growing a salad garden, since lettuce, carrots, and radishes have a shorter growing season. 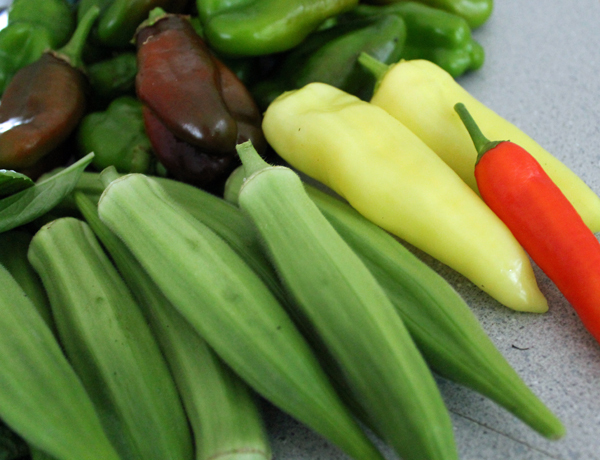 We have a goal to harvest our winter garden by the holiday break in mid December. In the spring, they will plant native milkweed and learn about our endangered monarch butterflies. 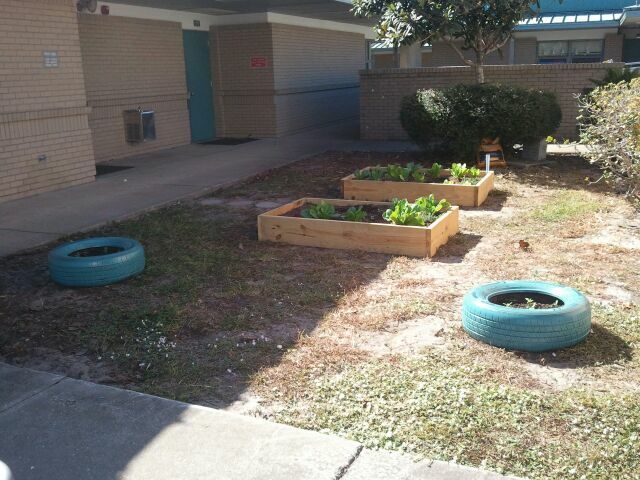 They will also continued to grow different selections of vegetables throughout the rest of the school year. 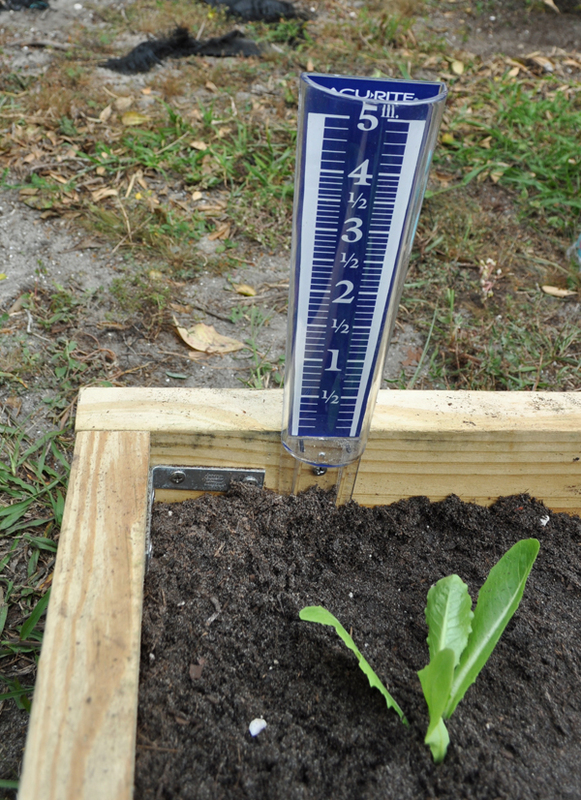 The students will learn to use the garden’s rain gauge. It is a plastic gauge with magnified numbers found at our Home Depot for about $5. We will record rainfall measurements and discuss the occasional lack of rainfall. I secured the rain gauge to the side of the garden box with a stainless steel screw, so that the students can not pick it up and play with it. 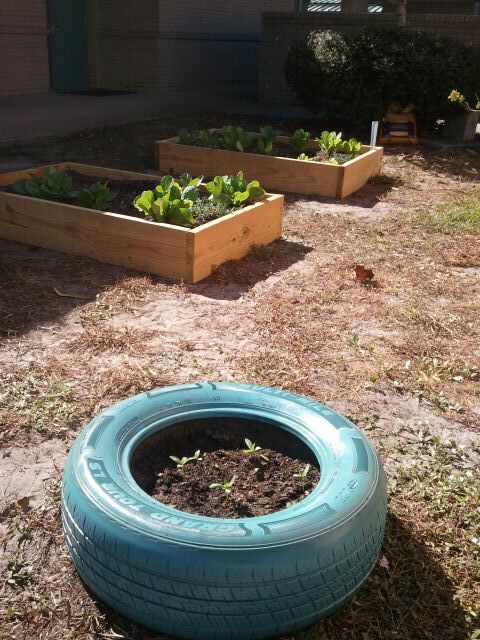 Last week we added unwanted tires to the garden space. We painted them the school color and filled them with soil and previously sprouted zinnia seeds! The kids were really excited about their tires. Our class teacher came up with the “Gardening Teams” idea. Each morning, I spend about 15 mins with a small group of children. They get one on one interaction in the garden, while we are taking care of it each week. Gardening Team 1 is on Mondays, Gardening Team 2 is on Tuesdays, and so forth. I enjoy answering their silly questions and listening to their interesting stories. Our romaine lettuce is looking great! I am hoping that not only will the kids eat it, but also share it with teachers and staff at their school. I will update as this gardening project continues. I am so excited to help teach food education to our youth! The entire family LOVED my grilled okra! 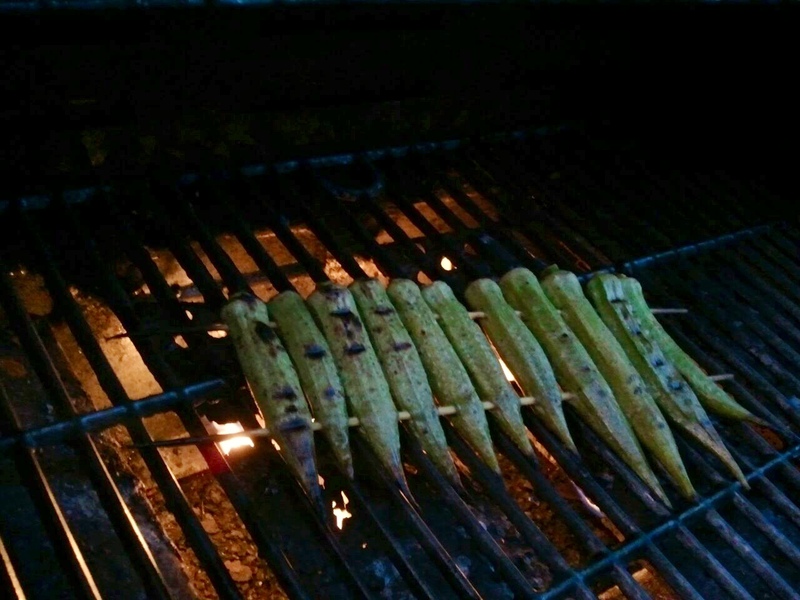 I used two bamboo skewers, and marinated the first batch for a few hours before grilling. The second one I didn’t have time, so we just brushed on the ingredients as we grilled. Both times the okra was tender with the nice flavor. After you season the okra, place it on the grill at 400 degrees, and cook until the okra’s green color brightens, and charred grill marks appear on the edges, about 5 minutes. Turn the okra over, and cook until tender, about 5 more minutes. This recipe can be easily doubled, tripled, etc. 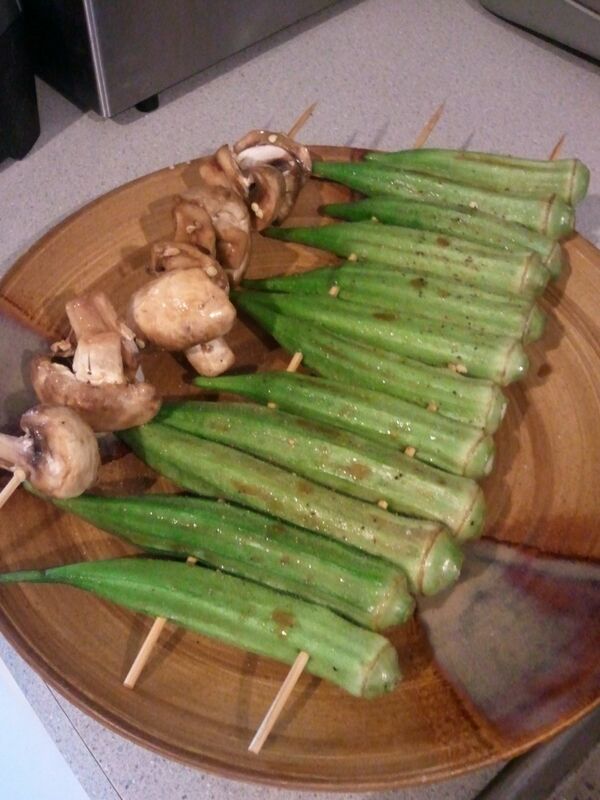 And the kids loved to dip the grilled okra into a special comeback sauce I whipped up. We also replace the mayo with sour cream, depending on the flavor of the rest of the dish being served with the okra. I am getting the garden beds ready for fall gardening now! 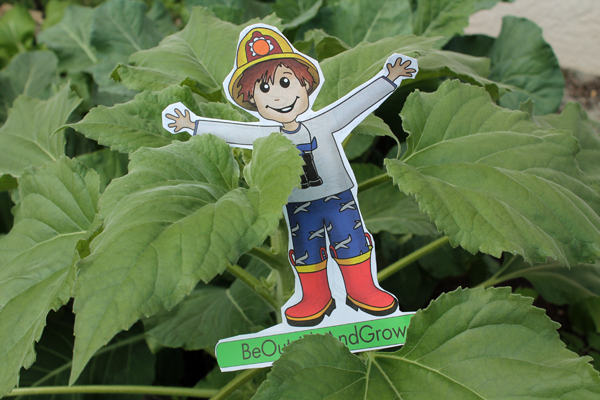 Seminole pumpkins are already producing, tomatoes and beans have sprouted, and we are seeing citrus on our trees! Fall and winter are my favorite time in our FL backyard! 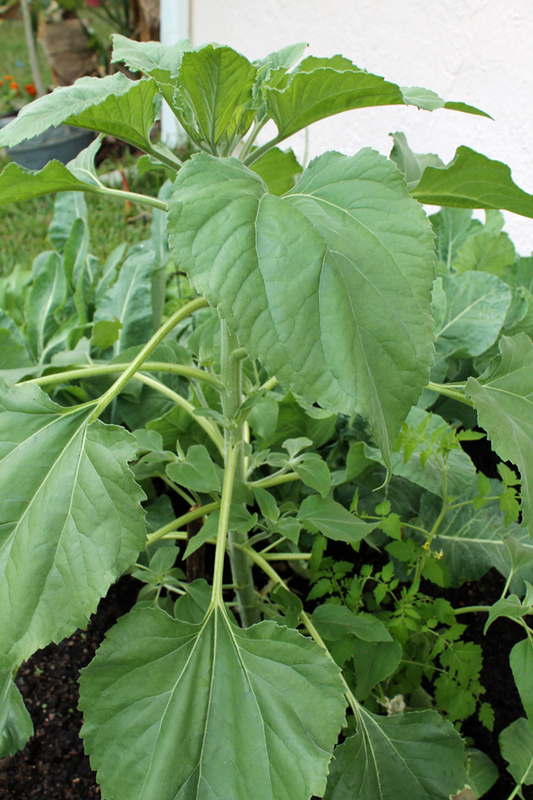 I talk to people all the time that don’t think you can garden in Florida’s hot and humid summers. It isn’t always the easiest task, but it is definitely possibly, and always rewarding! I found the easiest crops are: basil, sunflowers, peppers, and okra. They seem to love Florida’s heat and thunderstorms. Summer is a great time to work on improving your soil as well! 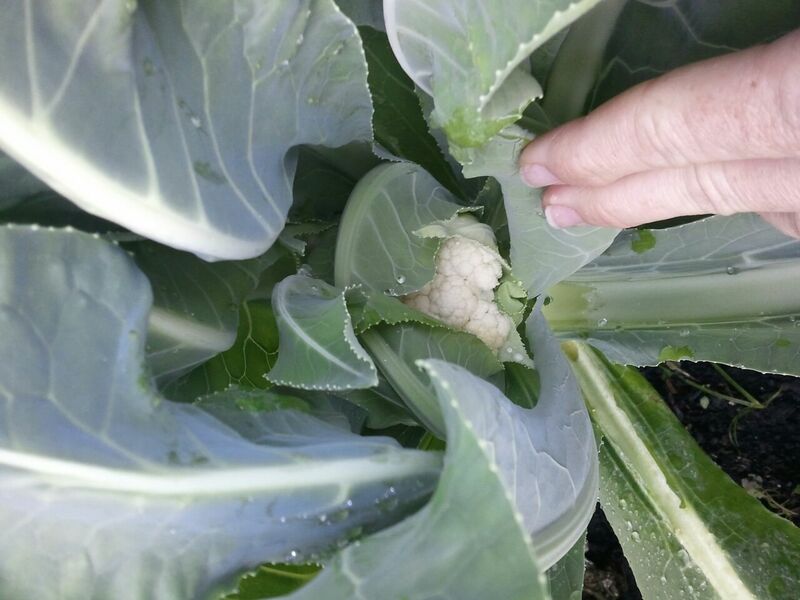 Above are photos taken of our late August 2014 summer garden. Shown: purple basil, sweet basil, native milkweed recovered from the Monarchs, okra, Seminole pumpkin, and sunflowers. We have already started our Seminole pumpkins for fall and are currently preparing our soil and planning our fall garden beds. The pine straw falling for all the Florida pines is a great, natural mulch for our pumpkin bed.